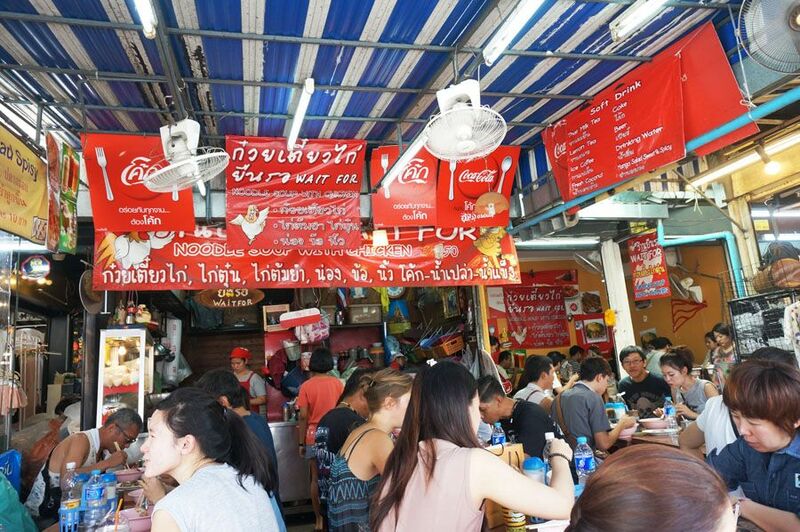 Revel in me...: Bangkok Tai-Tai trip 2014: Day 2. I must warn you now that there is not much substance to this post LOL. 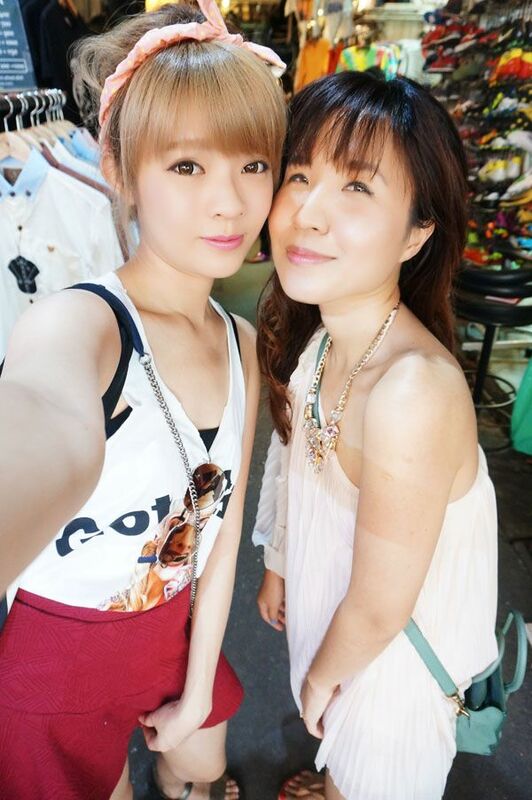 Unless you like to see camwhoring girls, yummy Bangkok street food, and erm, us in our pajamas wtf. Didn't take much photos for the second day 'cause we spent most of the day shopping! And when girls shop, the wallet is whipped out more than the camera wtf. Started our day with some delicious Hokaido milk that Bobo recommended us to! You can get it from the food court in Siam Paragon. Obligatory outfit shot before we stepped out. Decided to go to Chatchuchak market since it was the weekend! Took a cab 'cause it would have cost more to take the train wtf, and the taxi driver stopped us in the middle of nowhere. We were trying to get our bearings right to get to the fashion district, but anyone who has been to Chatchuchak will know that place is a maze. As we were stumbling around, suddenly Audrey gave a yelp! Turns out she spotted a restaurant that she has ate at before, which serves yummy noodles. 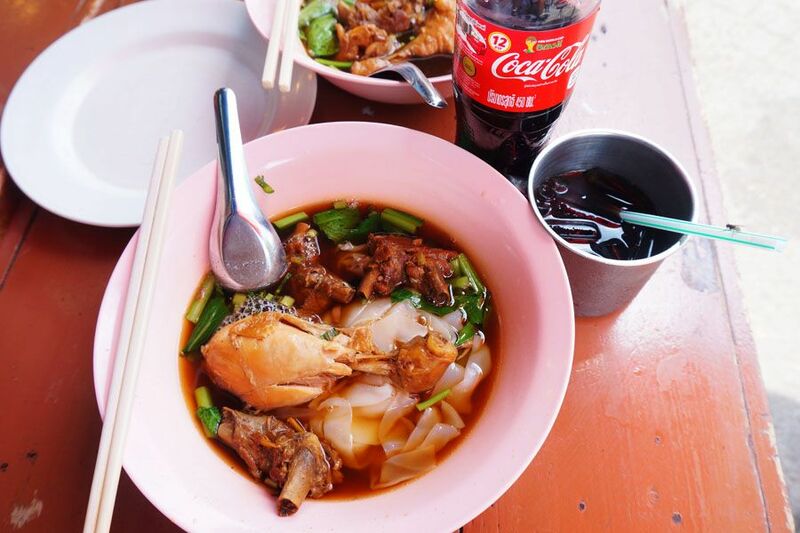 Chicken broth noodles, with iced coke. One for the album before we morph into gluttons. After eating, we were refueled with energy, causing our preying mode to surge wtf. Very quickly we found the fashion section after that LOL. Then Bobo recommended me to this really good iced milk tea at the fashion district. It is this stall on the main road which serves iced milk tea with coffee jelly. 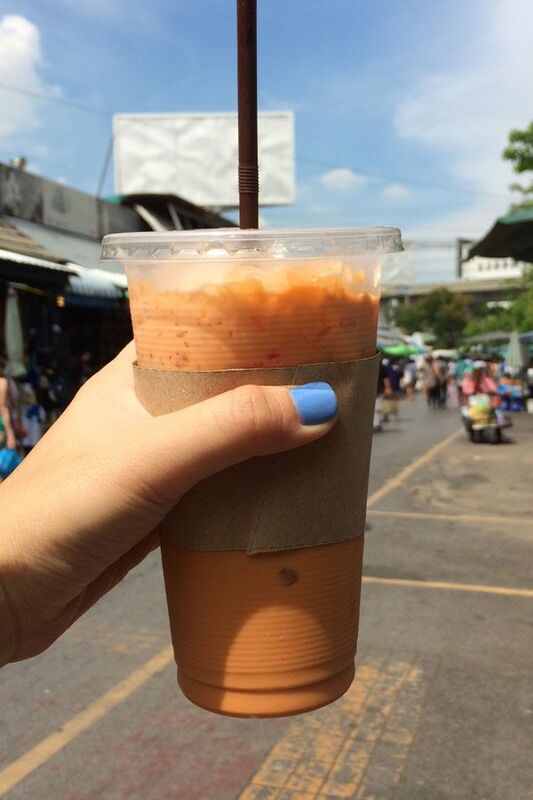 By the way, my motto on this trip was : DRINK ALL THE THAI MILK TEA! Literally whenever I see it on the menu, I would order it haha. Remember I mentioned that the chicken noodles' portion was too small? Again I thank my lucky stars that Audrey and Bobo have the same appetite as me wtf. We quickly directed ourselves to an air-conditioned place for a late lunch! Go all the way to Thailand to eat Japanese curry LOL. But to make it more Thai, we ordered extra spicy wtf. Amazing how good we look, considering that we were sweating like pigs right before this. All thanks to Audrey's miracle camera! Haih, actually I feel damn bad on this trip. I didn't bother to bring my DSLR along as it was too bulky for all the walking and shopping we would be undoubtedly doing, and my mom has stolen my compact digital camera. So I actually stole the boy's camera for this trip. Alas, I really need not bother to bring a camera... 'Cause these two girls have such awesome cameras! Bobo has a Sony one, and Audrey is using the famous Casio miracle camera-- both which have wifi, i.e. can easily transfer photos into our phone, and are really good for selfies-- deeming my camera pretty useless. T_T So most of the time, I only use my iPhone to snap photos, and rely on their cameras for the high quality images. So big thanks to Bobo and Audrey for almost all of the photos from this trip! Hehe so I guess you can expect more (and better) photos on this blog from now onwards. :P Abrupt end to this blog post now, and Day 3 coming soon!